Prepayment or Money Order sent with the parts advised for express handling. Talk to me (PM), I don't have parts in my pocket, but maybe able to overnite the next day. Used parts are available, the deposit is $40 which will be refunded less any damage. I'll buy your adjuster in useable condition for up to $40. Upon receipt, I will appraise it's value and let you know. Domestic shipping by USPS is included and unless you say otherwise, I assume you are. Don't tell me at the last minute that you're in Cantdeliverstan. International or overnight shipping will be extra and the paperwork is a b!tch. Most Intl shipping is $35 or more. Unless requested($), most shipments are made on Saturday. There is no longer a waiting list. If I have them, I will sell them. Don't be a freaking pest though, I struggle hard enough to get the plungers ready for Saturday. Paypal or money order, $5 off for money orders or cash. I can't save your PM's, so it's best to communicate by email. If that button doesn't work for you, post a request and I'll contact you. 1. What's the basic difference between a used or new adjuster? In terms of reliability or longevity? A: It varies, can be none or adjuster can get damaged by letting the plunger go all the way out and it will oval the hole a bit. When I pin these in, it holds the plunger in before the ovaling. So a little bit of damage doesn't really affect it. But some people like to not have damaged parts at all. I started with a used one with 22k miles on it, and I've used it for nearly 100,000 miles since. There's a little bit of damage to the back of the housing where the guide rubs on it besides the initial ovaling. 2. how do you get used adjustors for your mod? A: I buy new ones and pay for the old ones. Most people can't wait for me to mod their parts, so I exchange them with ones that have been sent in before by other members. If I mod your specific parts, it might take a month and I'd lose my mind trying to keep all the parts separate. best I can do is exchange your plunger for one that's already been mod'd and mod your housing. then build it with your springs. When forewarned, I've gotten the parts Saturday morn and shipped them that afternoon. 3. Once I have your mod installed it's good for life of bike right? 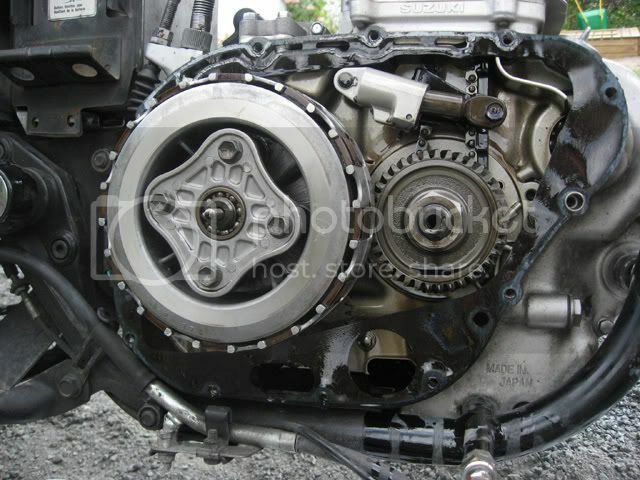 As in once I eventually need a new cam chain, I can just have the tensioner reset? A: Yep, the adjuster doesn't wear out, the chain does. Install a new chain, reset the plunger, put the bolt in the 1st hole and away you go. 4. My tensioner is at ~17mm w/ 11.7k mi. Approximately how many miles until I should change it? A: That answer varies a lot. You should change it when the plunger is at 19mm... at 22mm, the hole is ovaled and you're about to grenade your engine. A conservative estimate is a 1000 miles for every 1mm. I would guess that the plunger starts out in life at 6 to 9mm extended. That would give you 11mm for a little more than 11k miles. So that guess works out for you. 5. Is there any reason not to go with the used version? I assume they are rebuilt, and function equally well? A: Yes, I check for function before I send them. Some have a little ovaling, but the plunger once pinned won't go out as far to need the support of the ovaled part of the hole. 6. How does the rebate work? A: Send the old tensioner assembly to me and I'll evaluate it. Most get a full rebate. A little ovaling in the housing is acceptable, grinding of the plunger depends of extent, bent/broken springs are not. And the operation will be checked. 7.Do you have any ready to ship? A: I'm making them all the time, but there's a waiting list and I try to contact those waiting longest 1st. If you have immediate need... prove it... a pic or send me your parts with payment and I'll take care of you asap. 8. Do you take paypal? A: yes, paypal or money order are preferred. 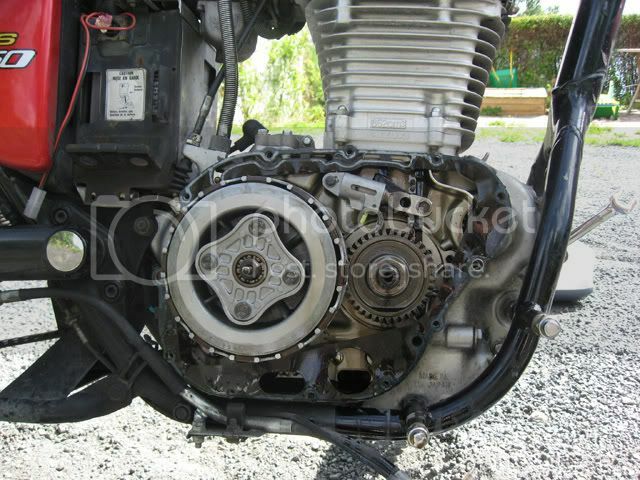 9.What's your turn around time from sending you chain tensioner to mod and return. A: Confirm with me that I have the plungers in stock, then send it by Tuesday, it'll be here by Friday, I'll have it back in the mail on Saturday and it'll be back in your hands by Tuesday. 10.What's the best way to ship? A: I use USPS. 1st class package w/insurance... $5.10 total. Please rinse with a little gas and put in a zip lock bag with an address label. 11.What do I send for the mod? Thanks Verslagen!... just got the "original" style weld-on cam adjuster I ordered from you into my sister's Savage. 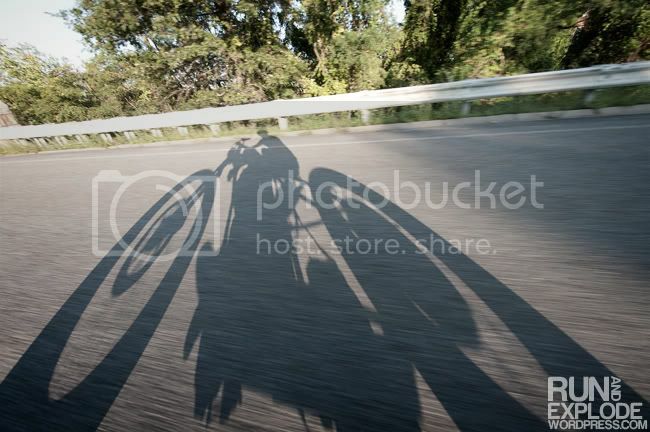 The bike runs sweet, no more noise, way quieter. Looks like I have about 12mm before the spring pin gets to the end of the slot but because my chain is only about 10mm apart I figure I will hear something before it does. Thanks again. Here is a picture. Hi Verslagen, just had the mechanic replace cam chain and fit your tensioner. Excellent machine work and fast turn around time. went for a test ride and no more rattle noise. I didn't measure how far out the plunger was. I was so eager to put the other one in when the cover was off. took only a few photos. It was much easier than expected. I would recommend the verslavy to every savage owner. Just so that you don't have to think about the plunger popping out. Mine was rattling and it was past due. Yes, the verslavy arrived today safe and sound! Thank you! I also picked up my performance cam and jetset (thank you LANCER) today too!! Woo hoo! If faced with a choice of which hole of the Verslavy to use, would you choose the one that yields more plunger extension or the one that yields less plunger extension? Use the 1st hole up until the pin bottoms out. Then switch. This will keep the spring tension to a minimum. Or course if you're almost there, change it over if you want. But I would tend not to want the plunger fully compressed. What is the advantage of going with this mod instead of the OEM part from BikeBandit? 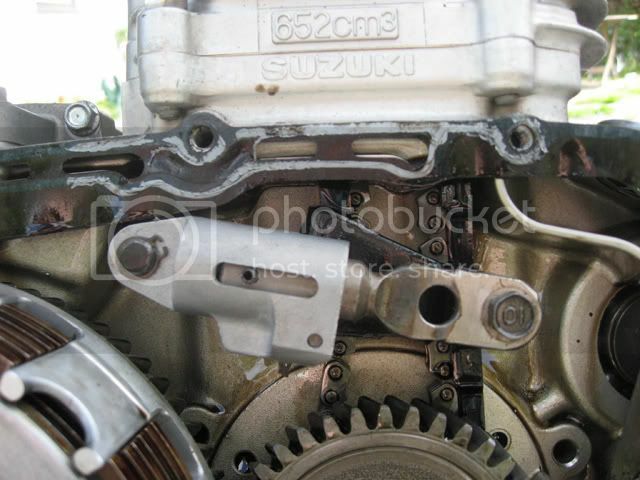 If you stay with stock, you need to replace the chain, front and rear guides... NOT THE TENSIONER!!! And what's to prevent it happening again... nothing! My mod pins the plunger to the housing, it will never fall out. And with the 2nd hole you can extend the life of your chain to the full rated life of the chain. As it is, the plunger is ready to fall out at half the allowed stretch. So do you want to pay over $200 every time or every other time your plunger is ready to fall out? 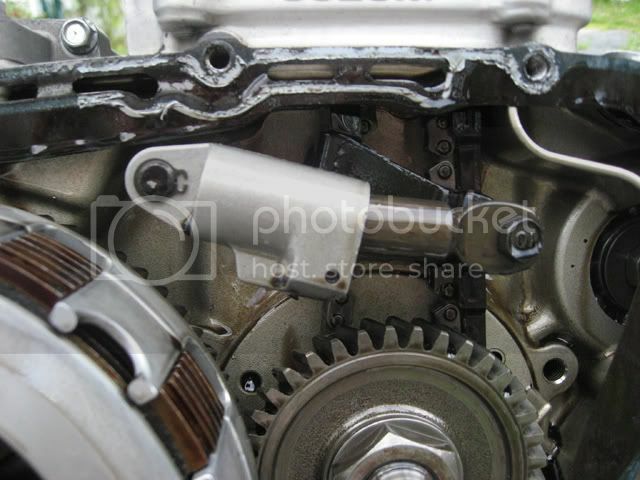 And count yourself lucky, half the time it falls out the cam gets out of time with the crank and piston meets valves. Man, go with Verslagen's tensioner. If you put a stock one back in it's only a matter of time (very short time at that) before it does the same thing again. 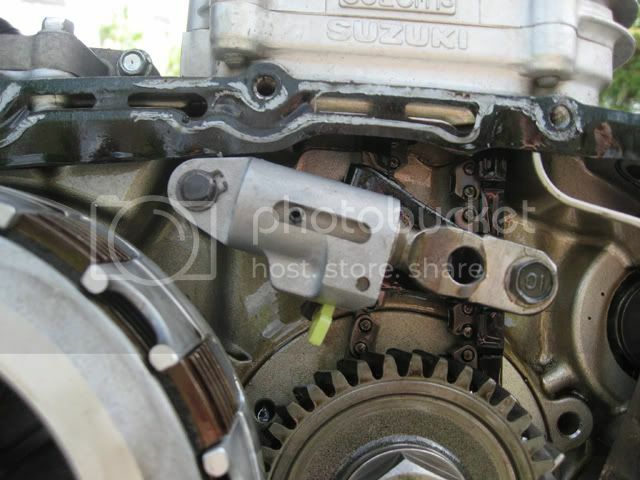 If you put a new stock tensioner in it will already be extended to the maximum and ready to fall out. That's a very poor Suzuki design. I'm going to order one before long myself. Received mine today, very fast shipping. Thank you!